Whisk together the honey, peanut butter and cinnamon in a small sauce pan over medium heat, stirring constantly until thoroughly heated through. DO NOT BOIL. 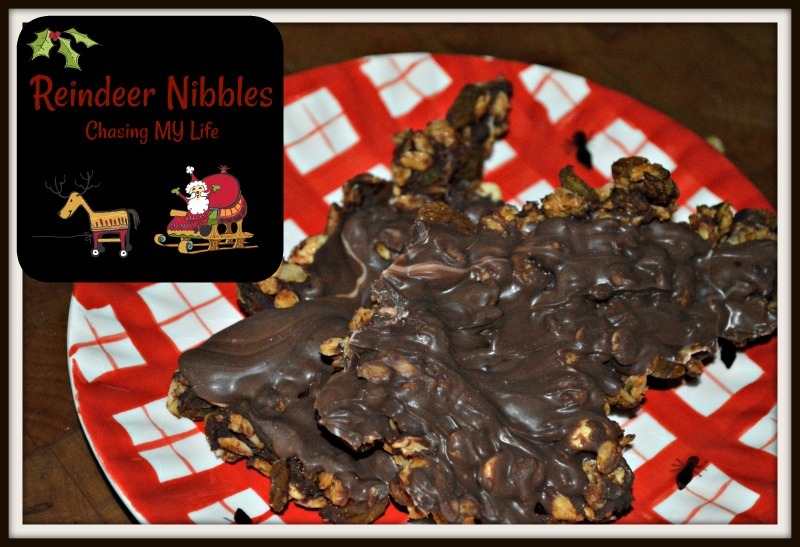 In a large bowl pour peanut butter mixture over the oatmeal, stir to combine. Spread oats in a jelly roll pan sprayed with non-stick cooking spray. Return oats to large mixing bowl and stir in peanuts, chocolate chips and raisins. Spread oat mixture back into jelly roll pan and return to oven. Turn oven off and let cool in oven for 90 minutes, stirring occasionally and keeping the door closed. Melt CandyQuick in 30 second increments until pourable. Stir after each 30 seconds. Pour CandQuick over oat mixture and freeze for 1 hour. NOTE: The pieces that are at the bottom make a great granola! 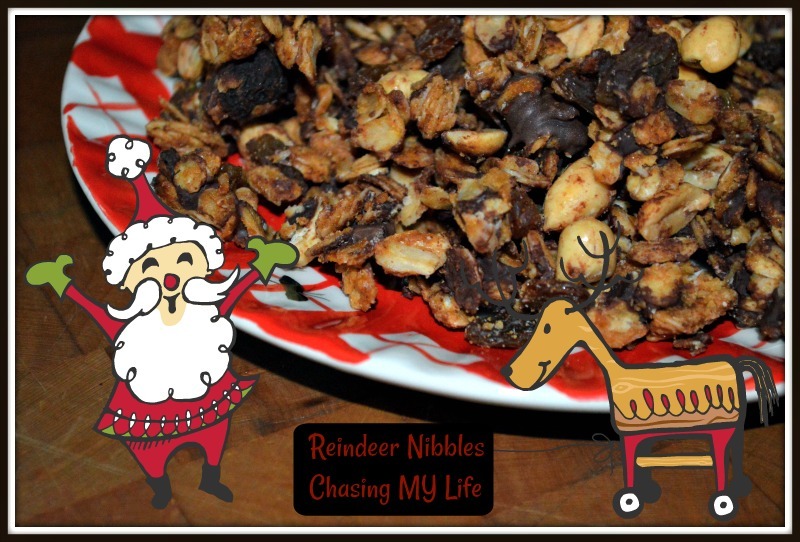 Your Reindeer Nibbles will be a very special treat! Hope you have a great week and thanks so much for the party!